Discover the new Barricouleur, a complete presentation of the Barrisol colours and finishes, & most technical informations you need ! Translated in 5 languages. The essencial tool associated to the Barricarte, available right now!. Master Keishu Kawai was born in the Japanese prefecture of Ibaraki, north of Tokyo. Trained in the art of calligraphy at the prestigious Tsukuba university then for ten years by the great Master Sôin Furutani in Kyoto, she became a Master of Calligraphy in her turn and exhibits her works throughout the world. She also teaches the art of calligraphy. Master Keishu Kawai was born in the Japanese district of Ibaraki, to the north of Tokyo. Trained in the art of calligraphy at the prestigious university of Tsukuba, she then trained under the Grand Master Sôin Furutani in Kyoto and became a Master of Calligraphy in her own right, exhibiting works across the globe. 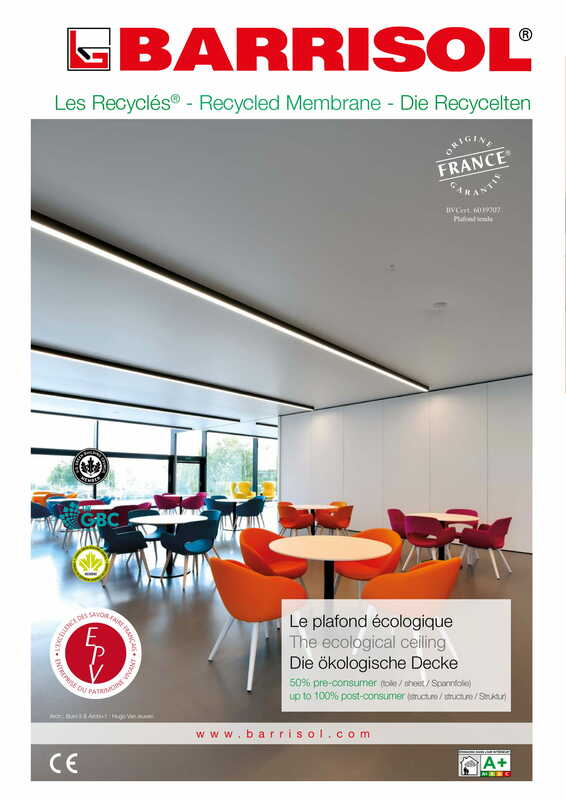 One of our priorities is to respect the environment and thanks to the range Les Recyclés®, Barrisol® also wants to offer you efficient acoustic comfort. The way that this textile material interacts with LEDs is truly fascinating, enabling it to be infused with any colour you want. The secret lies in the ELT®3D textile composition that allows it to be used in so many different ways. The ELT®3D process opens up a whole new range of decorative opportunities. Fabric glass is a material that is part of the family of wall and ceiling coverings. Consisting of extremely fine glass wires, its strength and durability are the most appreciated characteristics. With Light Lines® lighting system, you can choose the look you want, depending on your decorative desires and your lighting needs. Thanks to the consistent wall temperatures, the natural air flow and the large heat-exchanging surface of the ceiling, Barrisol® Clim® provides unparalleled comfort whether heating or cooling your home. Style and glamour for your walls and ceilings! Each motif, whether pert or graphic, presents the unique world of Ms Thomass. Paris, world capitals, the mouldings of heritage buildings, and of course, love, all wrapped in glamour and elegance. Thanks to an exclusive partnership with Barrisol®, you can now create a décor with the idyllic images of Alsace. Replace heavy materials like brick and stone with innovative lightweight materials to revolutionize interior design! Lightweight Barrisol® and Artolis® membranes allow applications out of the reach of conventional materials. 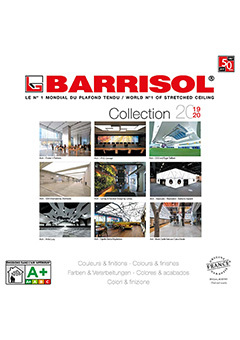 Barrisol® is proud to release its range of Arcolis® acoustic panels. Thanks to our exclusive partnership with the Museum of Textile of Mulhouse (MISE), the Barrisol® Editions range offers more than six million images from the world’s most important textile archive. This allows you the extraordinary possibility to exclusively print from the most beautiful images in the textile world. The second volume of the collection was created in partnership with the Musée de l’Impression sur Étoffes (MISE). This catalogue opens up a dreamlike universe filled with traditional and contemporary designs that will delight you and inspire your interior design and decorating schemes. Museum of Textile of Mulhouse. Over six million documents are now housed in this museum, making it the world’s largest fabrics research and conservation centre. These documents can be consulted by designers, researchers and decorators. 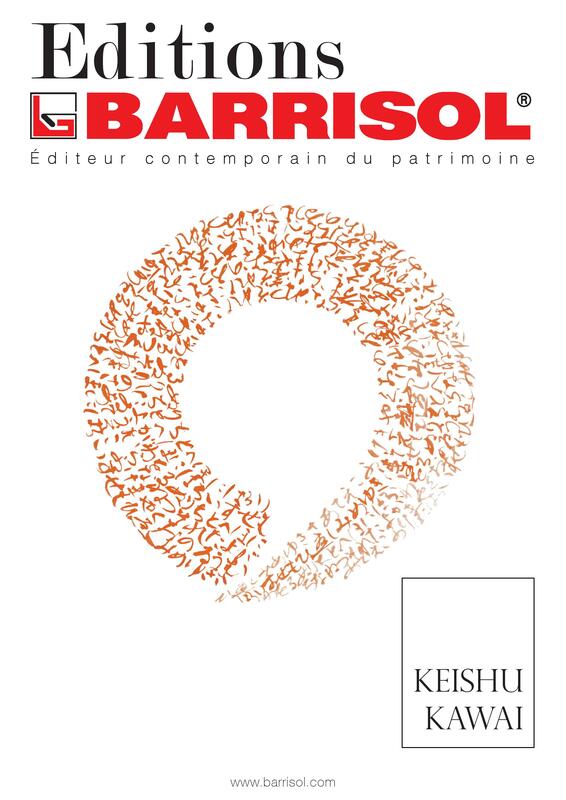 Thanks to the partnership between Barrisol® and the Union of National Museums (RMN), around 750,000 pieces of art kept in national and regional museums, like ”Musées du Louvre”, or “Musée d’Orsay”, are available to print for your luxurious interior designs. From Manet to Renoir, from the Mona Lisa to Van Gogh, nearly 750,000 works of art from France’s most prestigious national museums (the Louvre, the Musée d’Orsay, the Grand Palais, Versailles, etc.) can now be reproduced to suit your most extravagant decorating projects. This new component is added to the collection of Editions Barrisol® thanks to a new collaboration with the Wallpaper Museum of Rixheim. Wall paper has been an integral part of our interiors for over two centuries. It is a testimony of the history we have lived through, of historical and technical evolutions and of the changing fashions, tastes and styles of each generation. As world leader of stretched ceiling systems, Barrisol Normalu continues to provide an innovative approach to answer the architects and designers needs. Barrisol® Le Fauteuil by Vallon, is a new and totally customisable chair, created with the designer Joel Vallon. Barrisol® PLUS Light, is a new totally customizable lighting system, created with the designer Alix Videlier. It can be installed on the floor, in a ceiling, in a wall, stand alone or a combination of the above. Discover Barrisol® acoustic® systems, learn more about microperf® and nanoperf®, and view these public places beautifully made by Barrisol®. Learn more about this mythical range from the Barrisol® collection. Acousticians and architects have been expecting it for years. 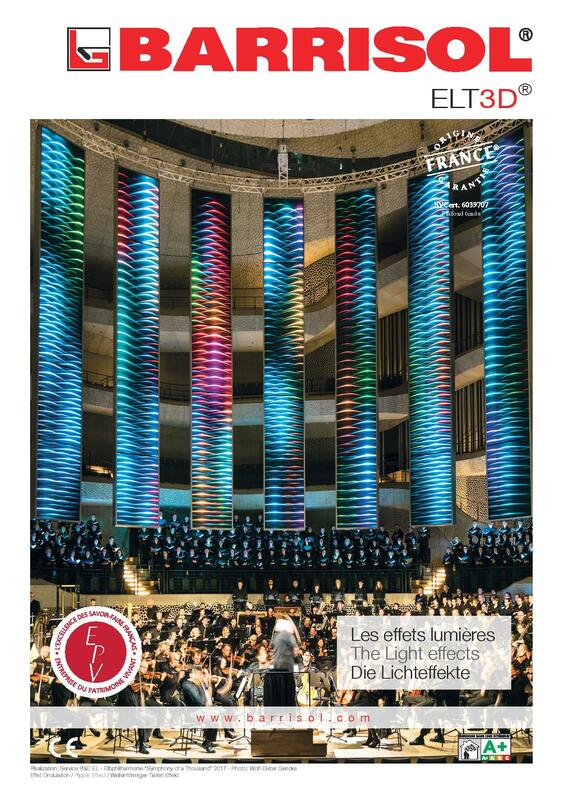 Acoustic light has now become a reality. 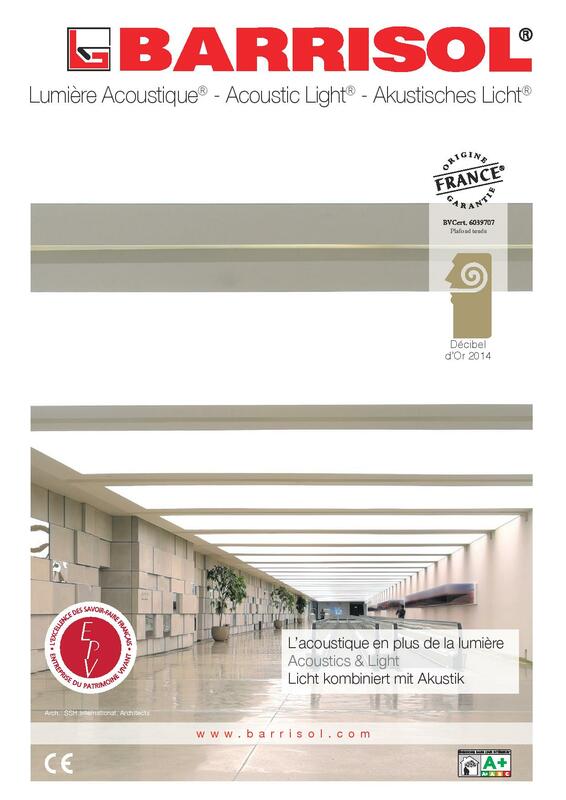 LUMIERE ACOUSTIC ® by BARRISOL® is the result of many years of research and development. The luminous material has become acoustical, retained its attractive appearance and has excellent sound absorption coefficients: ?w de 0.3 à 0.7. Discover the magnificent achievements thanks to the Barrisol Lumière® solutions. Whether you want to embellish your room or completely renovate it Barrisol's Lumière® range is for you. We know it too well now, with Barrisol® the only one limit is your imagination. 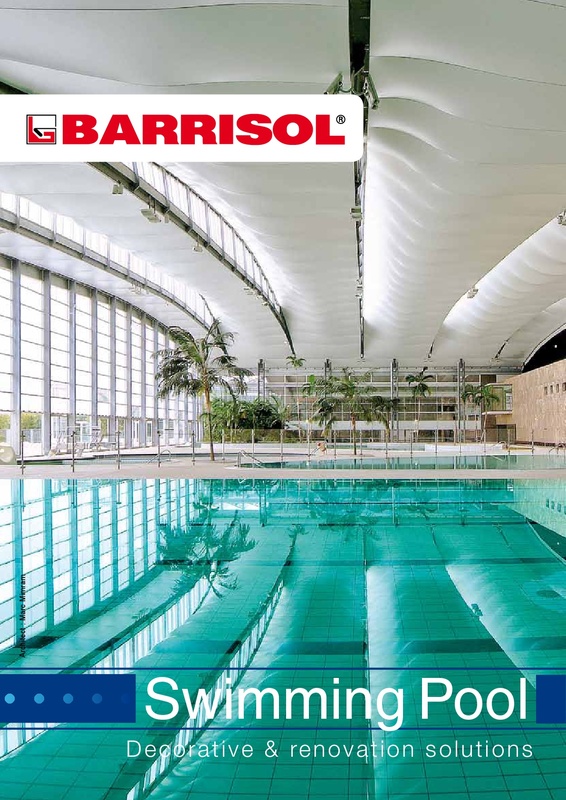 As you will see in this brochure, you can create everything with Barrisol® products. For the Lumière® range it's the same. From frames to 3d shapes, to printed colors or ceilings, everything is possible. 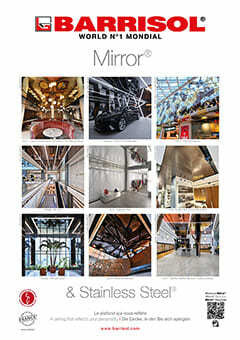 Exclusive application of the Barrisol® R&D, the new Barrisol® Mirror range complete the world of Barrisol®products and finishes... Discover without further delay the first two finishes : Gold and Silver. Barrisol puts the safety and quality in the hearts of its activity, conforming to effective legislations. Barrisol is engaged in environmental protection thanks to its line of product Les Recyclés®. Discover wonderful realizations in a numerous type of place, for private areas. Discover wonderful realizations in a numerous type of place such as : restaurants, bars, shopping mall, shops, museums, halls, airports, swimming-pools, exhibitions, car-dealer, meeting-room, offices, sport-halls, schools, hospitals, ... Discover photos of some of our best realizations. We are proud to present our collaboration with Ross Lovegrove, who is a world-acclaimed designer of intelligent organic forms. With more than 45 years’ experience in the industry, the Barrisol team shows exceptional workmanship in its products, which form these unique organic shapes. 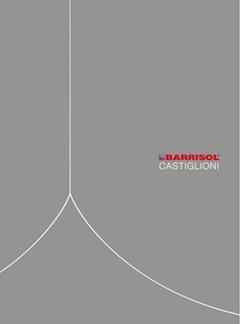 With Piero Castiglioni, and the creation of the 1954 lamp we paid a tribute to a familly history, thanks to the unique qualities of the Barrisol products and exceptionnal Barrisol’s know how. Printed walls, digital painting, panoramic decors and more. Artolis® a complete range of technical textiles for interior design. Barrisol® sheets meets all of the requirements of permeability and steam tests. Therefore, they can be installed in all types of humid spaces (swimming pools, spas, etc. ).